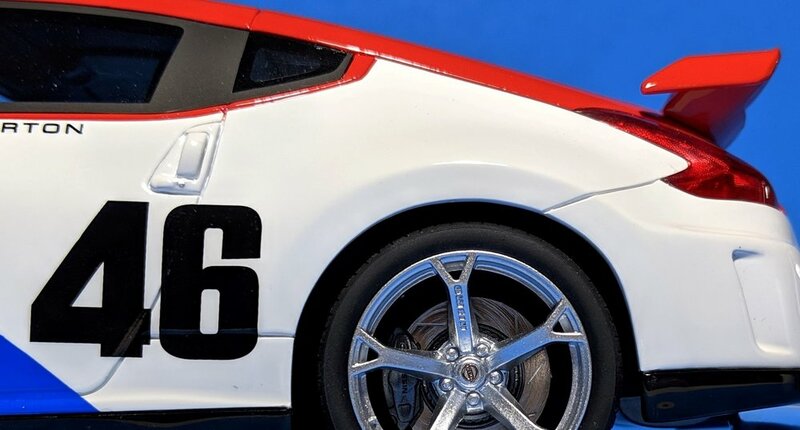 BRE, which stands for Brock Racing Enterprises, is one of the most recognizable liveries in motorsports. Upon hearing the acronym, you are probably conjuring up images of the old Datsun 240Z and 510 racecars, piloted by John Morton, that sported the bold red, white, and blue. To celebrate the original Z-car’s 40th anniversary and to commemorate its paving of the path for Japanese sports cars in the racing scene, Nissan re-imagined the iconic Number 46 onto its then-current Z-car, creating this one-off special of the NISMO 370Z. I like it, but that’s personal bias speaking for me. I’ve always been a fan of NISMO’s wacky creations, and the NISMO 370Z (“Z34 Fairlady” for the JDM preachers) is no different. 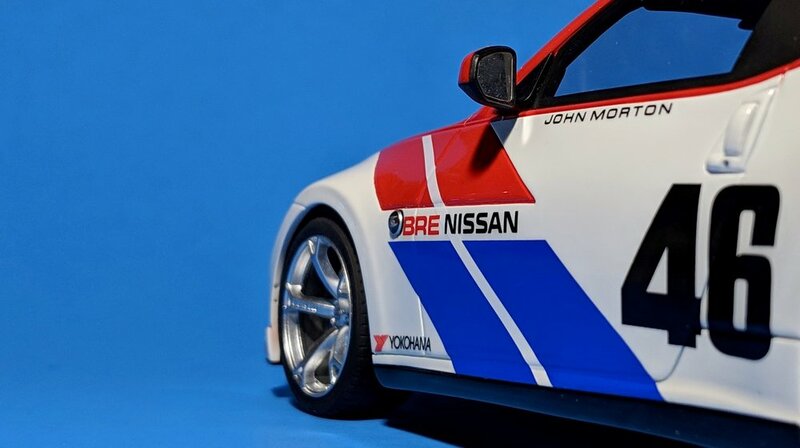 This BRE edition has been specifically modified in accordance with SCCA racing regulations but, graphics aside, there’s hardly a visual difference between it and the NISMO 370Z that is available to all of us “normal” folks. The pompous bodykit and rear wing fitted onto this particular Z, the first (and better-looking) of two iterations of the NISMO 370Z, transform it from fair lady to supermodel. I’ve always felt that the modern Z-cars (350Z, 370Z) look better with wings—to balance out their naturally rotund profiles—and NISMO obviously felt the same way. 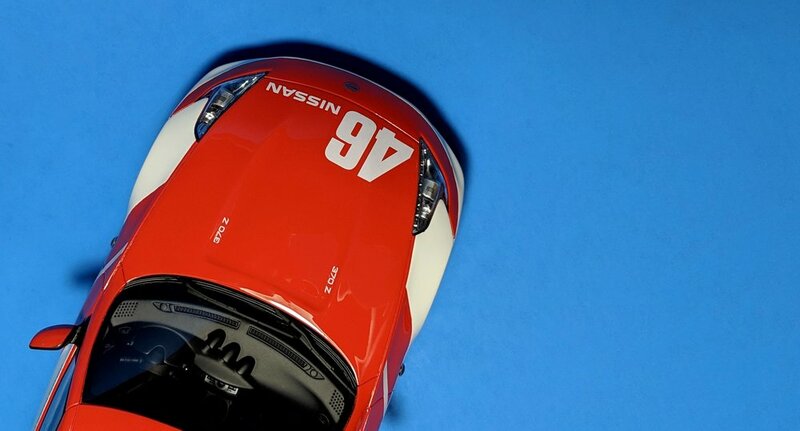 As for this NISMO Z’s racing prowess, well, let’s just say that the car is known more for its catastrophic brake failure than its potency on the track. Whoops! 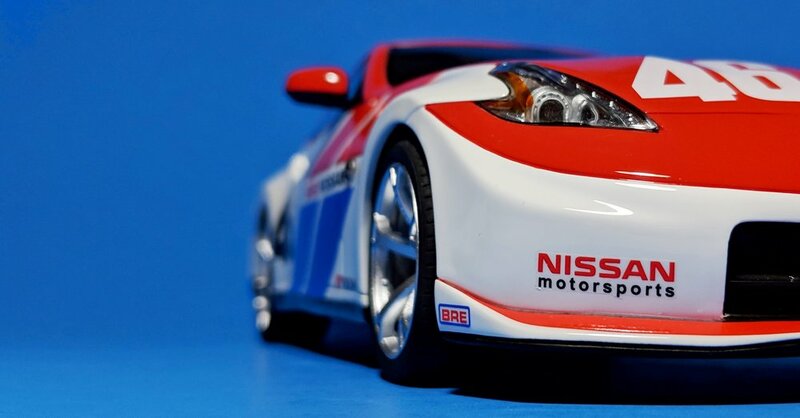 This BRE NISMO 370Z is one of GT Spirit’s USA-exclusive models (beware: sticker shock), released in partnership with ACME, makers of some of the finest 1:18 Americana you will find. It makes no sense at all—ACME doesn’t do resin models, and this isn’t even an American car for that matter—but we’ll take what we can get. The real BRE is a 1-of-1; it doesn’t matter how much money you have—you’re not getting one. However, you can have this miniature of it. Unlike the real thing, there are 282 of these “fakes” roaming around, so your odds aren’t so bad after all. GT Spirit forgot about the Stillen decals on the side sills, but it’s an otherwise faithful replica that builds on their already-fantastic casting of the NISMO 370Z that they released a few years back, shown below. It’s essentially a re-skinned version of that non-liveried NISMO, with a revised interior and improved brake rotor detailing, among other subtle changes such as a rear wiper delete and a couple of omitted badges. The original, I might add, is one of the best GT Spirit models ever, so you already know how I feel about the BRE. Again, personal bias.